Well, yeah, that was a gamble on a quirky writer/director who wasn’t afraid of taking chances, and if Guardians of the Galaxy hadn’t worked, James Gunn probably wouldn’t have done vol. 2 and then been brought into the fold to help shape the next 20 or so MCU films. Though interesting, Man of Steel had some severe flaws, including largely not understanding who Superman is, which should have been the death knell for that take. 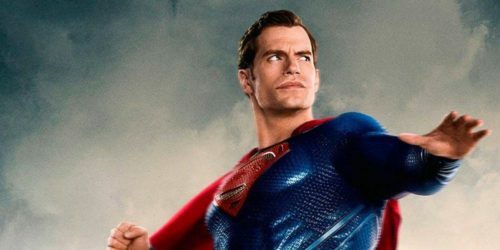 Instead, Warner Bros announced that since Snyder’s sensibility had worked so well on films like 300 and Watchmen, they’d consider Man of Steel a stumble, and reward him with another. The studio heads failed to understand that Superman is neither Doctor Manhattan nor Rorschach. Fans tried to tell them, just like before one single foot of film (it’s a metaphor) was shot on Josh Trank’s Fantastic Four they tried to say “it’s not right.” But they didn’t listen and were stunned when people said, “yeah, it’s still not right.” After that came Patty Jenkins’ Wonder Woman, which was right, but by then Warner Bros had too much invested in Snyder’s vision of Justice League, and Joss Whedon couldn’t script doctor it enough to not make it obvious that two visions were colliding. So after failing to get the megahit they hoped with Justice League, it looks like the studio is shaking up their superhero portfolio again. Variety reports that after promoting Jon Berg and Geoff Johns to run DC Films after the critical drubbing of Batman v Superman: Dawn of Justice, Warner Bros is looking for someone new to run it in their place. 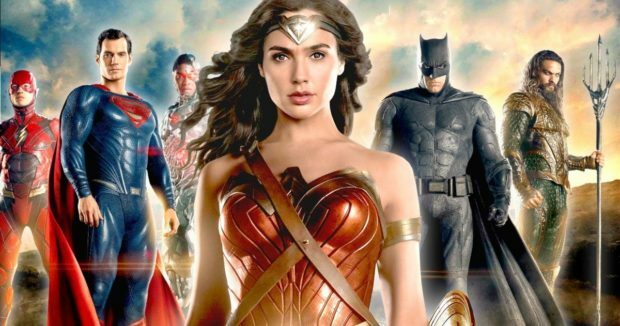 DC Films may continue as a label, but it will likely be brought directly into Warner Bros Studios, without the relative autonomy that Marvel Studios has at Disney. DC Chief Creative Officer Johns will not be the someone to run it; instead, he’ll be eased into more of an advisory role, similar to where he was when everyone had faith in Zack Snyder. Look, we told you so. We even left out Suicide Squad in telling you so. Like Justice League, that was a series of cool fan trailers stitched together without cohesion and proving that we love these characters, but you don’t know what to do with them. Except that one film did break the mold, and that was Jenkins’ Wonder Woman. She got it. She was also aided in that vision by Allen Heinberg and …Geoff Johns. Johns did what he was supposed to do. But maybe because he’s spread all over the place, working in television, comics, and movies, he can’t keep his eye on any one ball the way that Kevin Feige can for Marvel Studios. What does this mean for the future of DC Films? The Batman will still happen, but it won’t be Ben Affleck. The Variety article just confirms what’s been sadly obvious for a while; writer/director Matt Reeves wants to create his own version of Batman, unencumbered by the Snyder vision, and rumor has it that he wants Jake Gyllenhaal for the role. 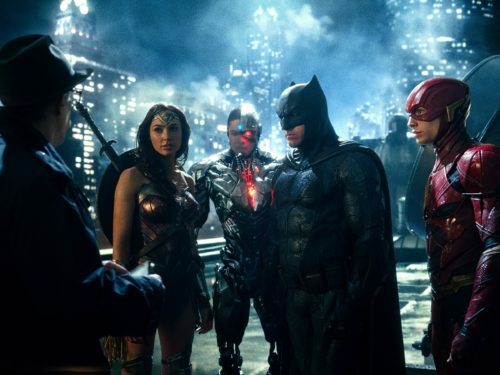 Affleck will still make an appearance in the as yet unscheduled but still happening Flashpoint, but this also doesn’t seem like Warner Bros has hope for a Justice League 2. If Flashpoint follows the original event closely, Affleck only needs to appear at the beginning and the end, with Jeffrey Dean Morgan possibly stepping in to play the alternate universe Batman. Why? Read the comic. The important thing there is that Ezra Miller will get to be the Flash again. The fate of the DC Cinematic Universe rests with the Amazon and the Atlantean. Everybody likes Jason Momoa in Justice League. 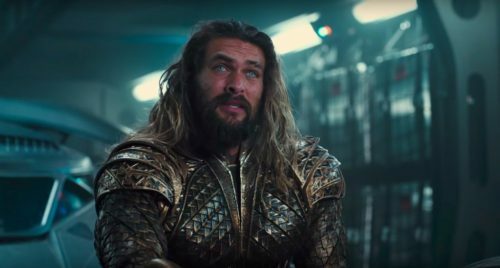 So hopes are still high for Aquaman, the solo film directed by James Wan that’s due in theaters November 2018. Jenkins is also prepping Wonder Woman 2, and we have no reason to believe that won’t be at least in the same, ahem, league. 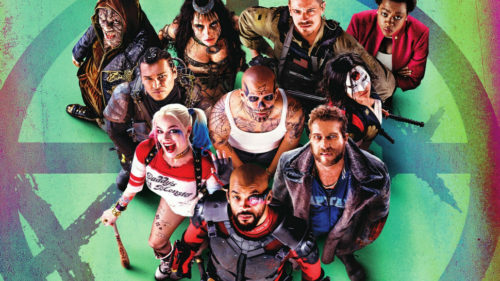 Off to the left, there’s a lot of noise that a Suicide Squad 2 is happening but… why? There’s still one magic word… Let’s not forget that under the New Line Cinema banner, we have Shazam! All rumors point to it being lighter and more fun than Johns’ New 52 update, and it has the potential to be a successful comic book movie for Warner Bros., just not in line with a cohesive DC Cinematic Universe. But is the studio interested in one? The orphans. Despite the general excellence of Ray Fisher in an underwritten role, no one’s talking about a solo film for Cyborg right now. Despite the clamor of excitement for Green Lantern Corps, no one’s talking about that one, either. (Allegedly the post-credit sequence that Snyder had designed for Justice League would have involved Tomar Re and Kilowogg, but I haven’t seen credible proof that it ever made it past the script stage.) And maybe the biggest tragedy of them all — no one’s talking about a solo Superman film after finally, finally, Henry Cavill got to flash moments of being the Superman that all the fans said they wanted. I would like to see him get the chance unsullied by a moustache. The alternate universes. Martin Scorsese will produce a Todd Phillips-directed origin story for the Joker. We’ll assume Matt Reeves’ The Batman is an alternate universe, too. There’s nothing wrong with that; it’s just the dream dies hard for it all being connected. But did we need continuity anyway? There’s no saving Justice League; it is what it is. Maybe we can just get a few good movies, how about that?